My family doesn't really celebrate Easter. We're not religious. We used to get together for a family dinner that day but in the past several years we've all kind of done our own thing. 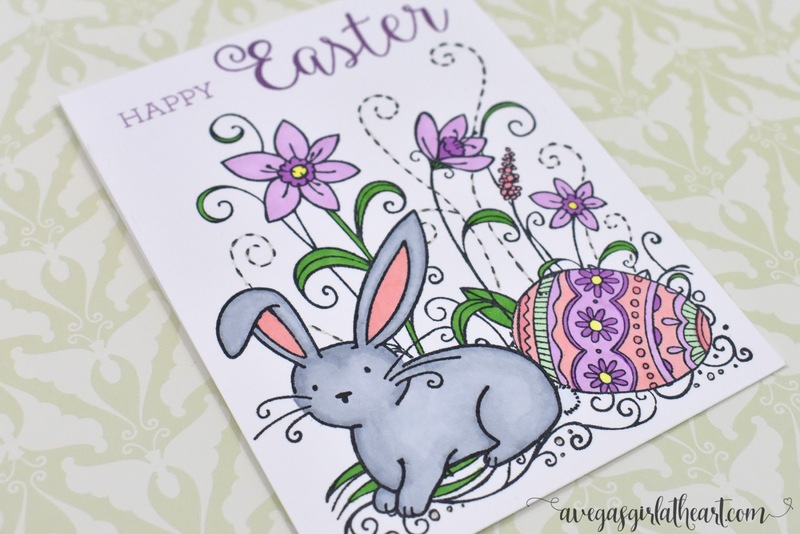 But I have a few Easter stamps and thought it might be fun to do an Easter card. I used a stamp from Outlines Rubber Stamp Co, which has since gone out of business. I do have a few of their stamps - they are wonderful for coloring. I'm not great at coloring, and I really don't know how to do shadows and blends but I still have fun with it. I used Memento Tuxedo Black ink, and both Copic and Spectrum Noir markers to color in the scene. 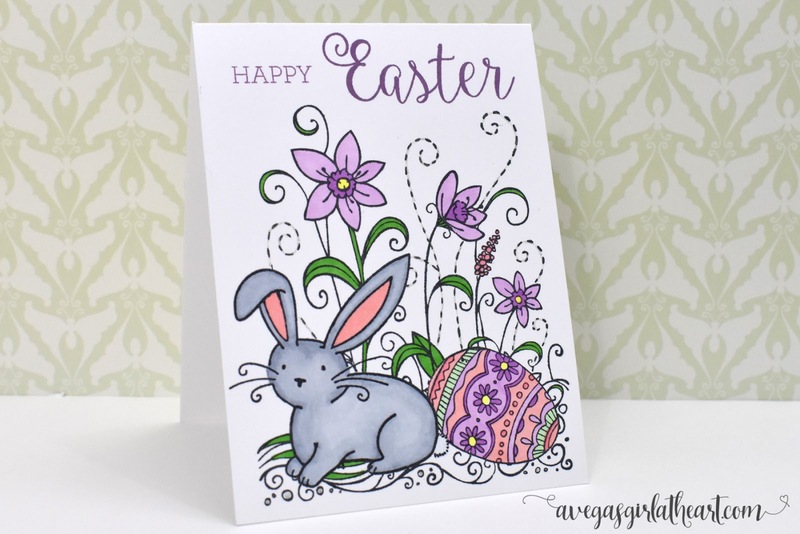 The sentiment is stamped from two different sets - The Stamps of Life happycalligraphy2stamp, and Stampin' Up! Crazy About You. I used Memento Sweet Plum pink to stamp the sentiment. That color seemed to closely match the darker purple in the colored image. 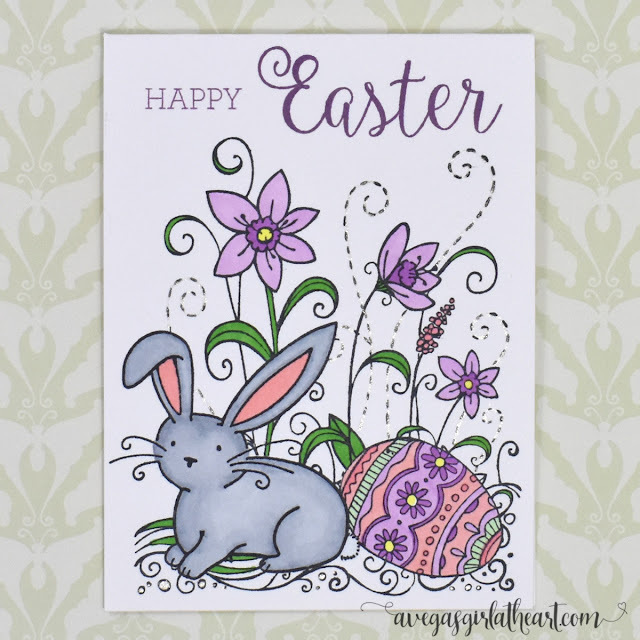 I finished the card off by tracing the dashed lines in the image with a Gelly Roll Clear Stardust pen.